shop nowAn atmospheric scene of dancing snowflakes from the Nutcracker Ballet. 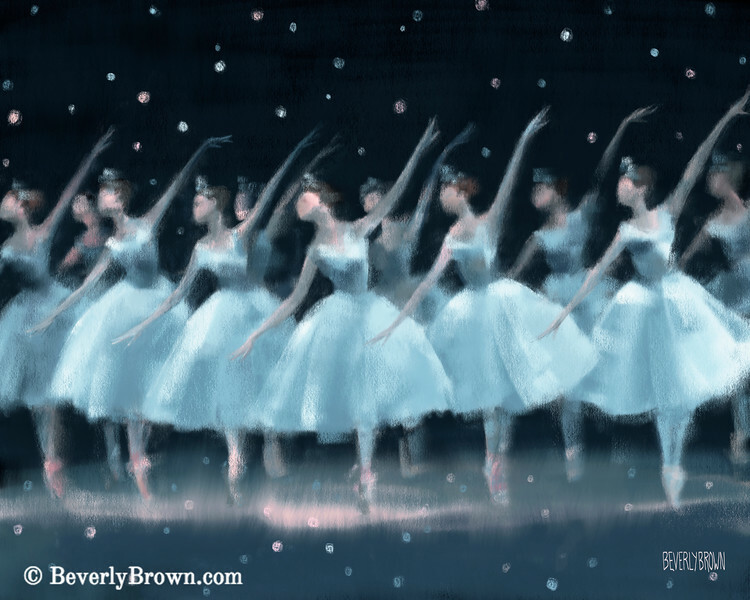 This timeless ballet scene is rendered in soft shades of blue-gray, white and pink. It was painted digitially on the iPad. Copyright Beverly Brown.